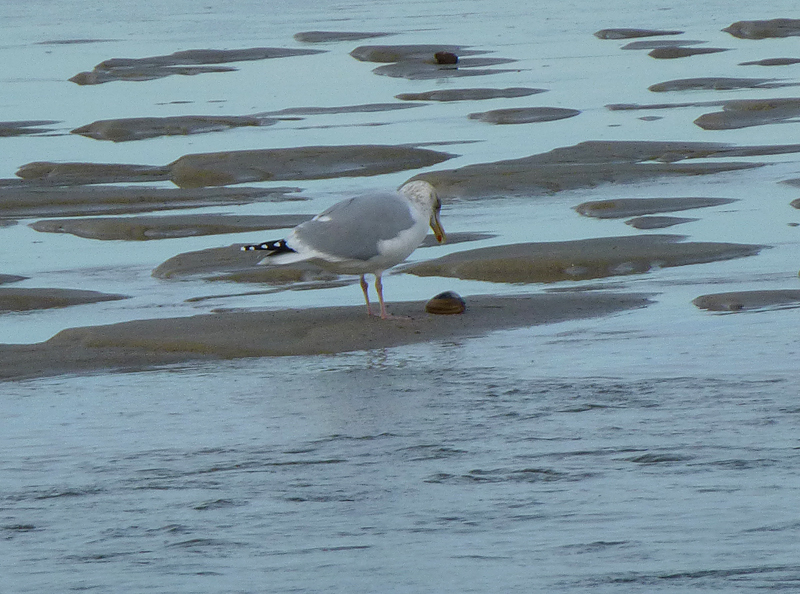 This Seagull was so much fun to watch as it was trying to open a clam that it had found at the beach inlet in the water. 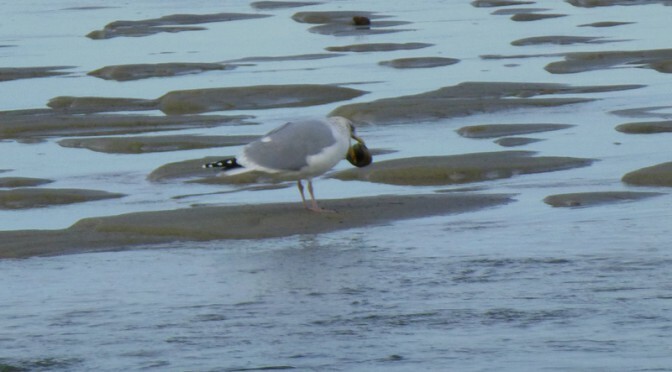 First he leaned headfirst down to get the clam. And then he deposited it on the sand and stared at it. 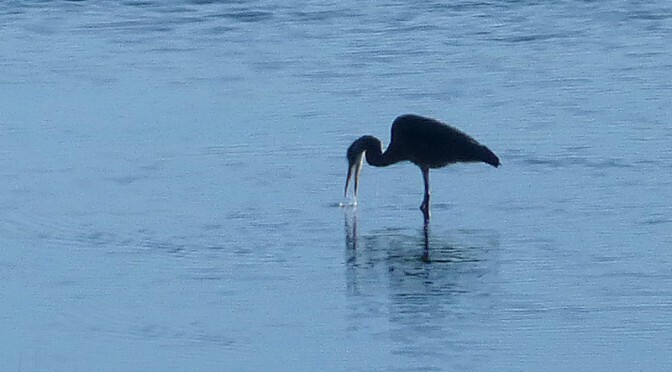 He then put it back in his beak and started to fly, all of a sudden dropping it on a rock in the water. 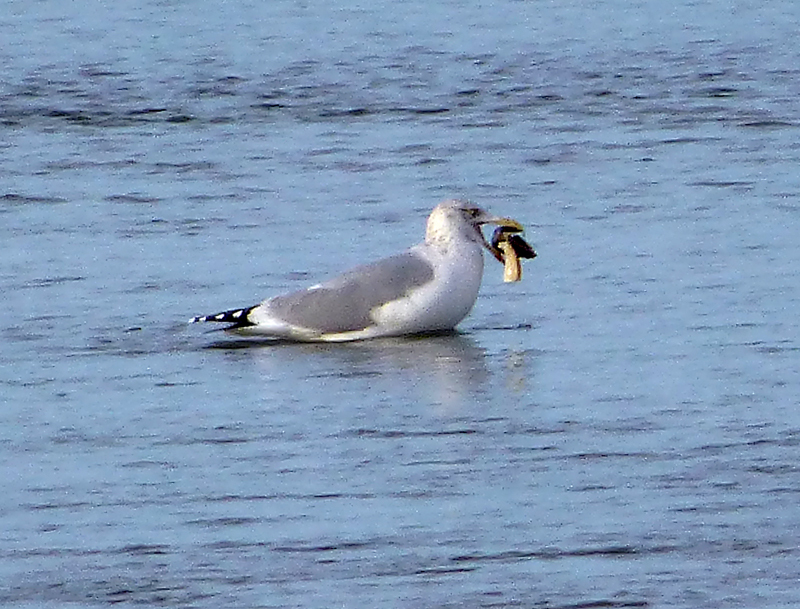 He proceded to find it under the watwer, pick it up and swim to shore and have himself a feast. He was one mightly proud seagull! Pretty amazing, huh? He not only knew where there was a rock under water, but knew exactly where to retrieve the clam once it was smashed. 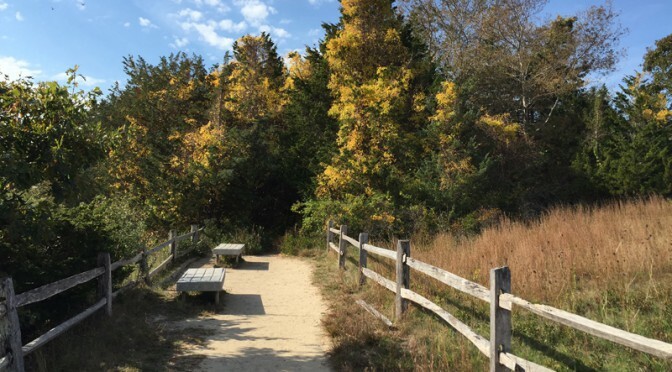 There are many benches along the Nauset Marsh Trail in Eastham on Cape Cod to sit down, relax and take in the unbelievable views of the marshes, wildlife, birds and the ocean in the distance. This bench overlooks the salt marsh and is gorgeous in every direction! I sat on a picnic bench at Nauset Marsh on Cape Cod and watched this Great Blue Heron fish for a long time. I couldn’t believe how many fish he caught! It must have been a lucky day for hm! It was a glorious day at Nauset Beach on Cape Cod. 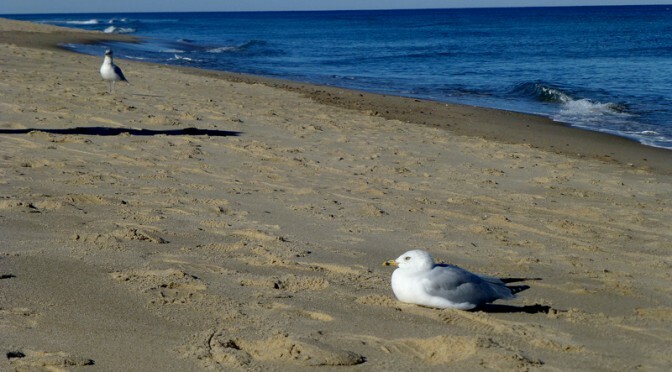 These two seagulls sure looked as content as could be! They had the beach pretty much to themselves! 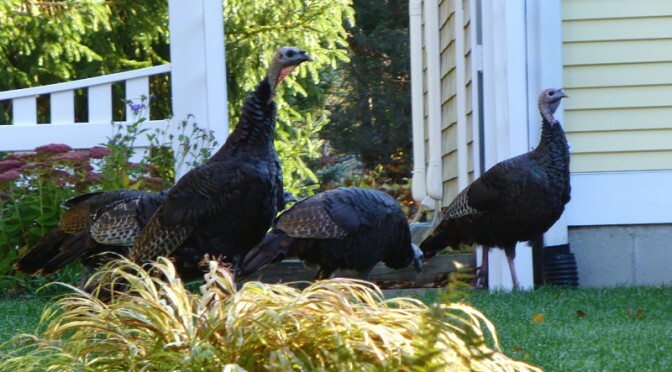 We have seen so many wild Turkeys in Orleans on Cape Cod this fall. There were about 12 turkeys in this flock that was meandering around our neighbor’s yard. Hope they all stay safe for the holiday! 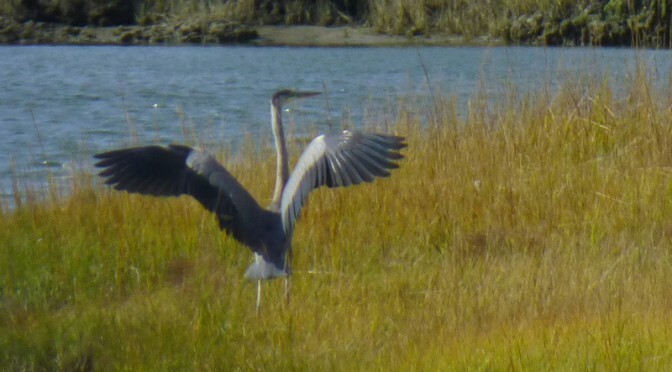 This Great Blue Heron, my very favorite bird, had just landed at Nauset Salt Marsh on Cape Cod. It is always such a treat to see them. Love his spread wings… such a beautiful bird! Great pose, huh?